Dr. Shannon Irvine takes the woo out of all the mindset talk and makes it scientific, which is what I like. 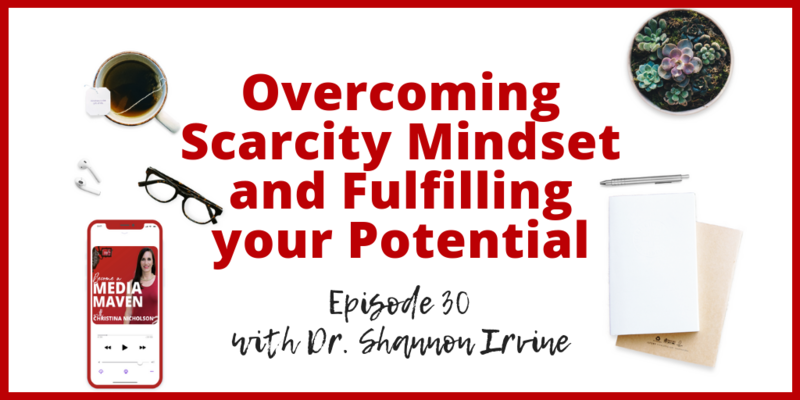 In this episode, Shannon talks about her personal and professional breakdown moment when she was feeling very overwhelmed and how that led her to focus on her systematic brain. Your conscious mind is the boss, but we’re on autopilot and the subconscious mind tells us what to believe. Shannon is going to teach us how to get out of autopilot and make the subconscious conscious. People think that it’s not an easy task, but the beautiful thing is, I’ve been an entrepreneur all my life – like seriously since like, 19 I think I have my first business. So, I’m a serial entrepreneur, serial visionary. I started a million things and then lost interest in them a couple of months later. I had a moment where, like a lot of your listeners, I had kind of a breakdown moment where I felt like I just, it was an overwhelm. I couldn’t figure it all out. I’d gotten to a certain level of success by like the hustle and grind, and like just sheer will, but there’s a point in which that stops working. And I started just having this kind of conversation in my mind of the fact that it had to be either or that – it couldn’t be both. And long story short, I had a moment where I, I was honestly really frustrated, but I started thinking about like, wait a minute. Like I’ve seen people write, we seen them, but they seem like they have a very successful business and a successful family. Somehow they figure it out. And so I started asking myself the question like, ‘what do they have that I don’t?’ And I think that’s common for a lot of us as entrepreneurs. We think it’s something outside of us. We think it’s just, you know, that we just need to do some different system, some different funnels, different something that the magical fairies at seven figures have that we don’t have. Right? Um, and that’s where I was, but I started to become obsessed with this idea that, well, if they’ve figured it out, I can figure it out. And I started getting mentors and I started really diving into this world of what makes successful people successful. And uh, worked with mentors really. I noticed that it was a, it really was a conversation. There was a difference in the way they thought and how they showed up in their business and what they put their focus on. And it was really that shifted for me. So much so that I decided to shift my studies from business and finish up my Ph.D. in neuropsychology studying what did make it different in their brains versus what was going on in mind, you know, in the past. And what I found out is it’s not as hard as we think it is. 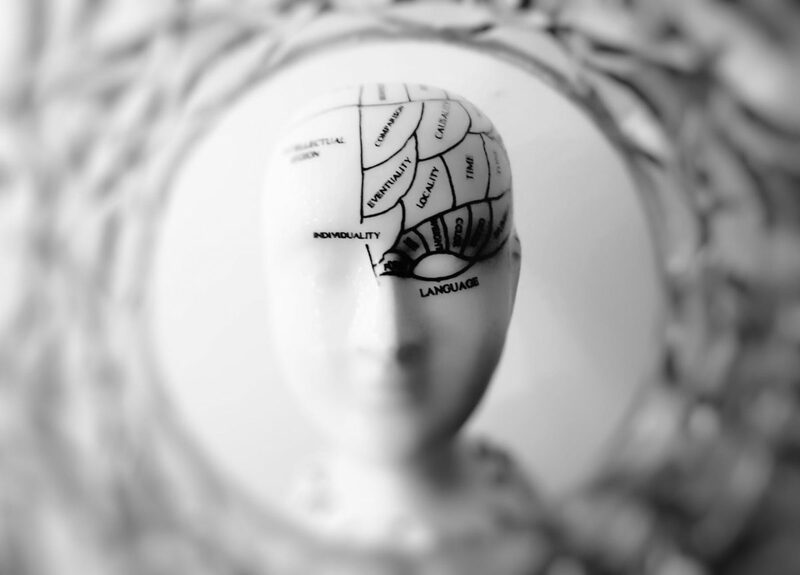 Our brains are super systematic and there is a process driven way to remove those limiting thoughts that I was having, and that a lot of people have. To start to truly hardwire, I always call it neuro hacking, but truly build the neural networks that allow success to become much more easy, much more effortless, and actually fun. For a lot of people that just seems like a great Instagram quote. The reality is when you neuro hack, you can actually truly wire your brain for the success that you’ve been craving. The reality is, you are the creator of your own thoughts. And what I mean by that is your subconscious mind. And I’m just going to get a tiny bit ‘science-y’ on you, but only for a micro-moment cause it’s gonna make a whole lot of sense. Your conscious mind, the one that I’m talking to you with and the one you’re listening with, it is the boss. So, therefore, you are the creator of your thoughts. But so many people, especially entrepreneurs, are on autopilot so they’re not questioning or thinking at all, right? And so our conscious mind, it is the boss. It tells our subconscious mind what to believe and then automate so that it can be efficient, which is great. If you’re really, really good at, um, programming your brain and the thoughts that you’re thinking are always 100% in alignment with what you want in your business. I’m not sure if I have what it takes and I might be judged and I’m not sure if I’m good enough and I’m not really an expert at this. What will people think? Are they going to judge me? And all of those negative self-limiting belief for success, sabotaging beliefs that we are so hard on ourselves with, it’s between our two ears, right? Which nobody else sees that it’s going on, but yet it’s something that you’re telling yourself over and over and over again in words and pictures. And what happens in your subconscious when it builds these neural networks and it automates it is… there’s a part of the brain called the reticular activating system that literally filters out anything that does not align with what your subconscious programming has. There’s a disconnect and your subconscious always wins if it’s on autopilot. So, therefore, you program this stuff in unknowingly. Most people don’t realize that they’re doing this. And we can see in brain scans that these neural networks are formed based on these beliefs. And those beliefs become your thoughts and those thoughts become your actions. And those actions create the results that you see around you right now. So the easiest way, the fastest way to grow and scale your business to the place that you want it to be, is to take your thinking off autopilot and start to hardwire your subconscious mind to believe exactly what you want so that your brain can start bringing it to you.